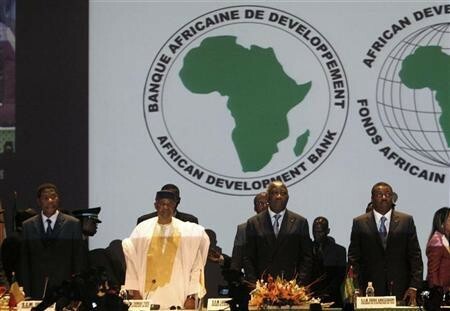 The President of the African Development Bank (AfDB), Donald Kaberuka, has told Ghana and other African countries that joined the club of oil and gas producers not to use the monies realized from the natural resource for populist policies such as increase of wages of workers. Instead, the oil cash should be invested in education and roads as well as supporting traditional sectors to avoid the “oil curse” trap, said the former Rwandan Finance Minister. Ghana, Kenya, Mozambique, Tanzania and Uganda have all discovered oil and gas in recent years, thrusting them into crossroads between following the likes of diamond-rich Botswana into prosperity or the likes of Nigeria into over-dependence on oil. In an interview with the Reuters news wire April 3, 2012, Donald Kaberuka said governments should resist using windfalls from oil and gas exports to pursue populist policies like sharply raising public sector wages. “(They should) avoid using the resources to rapidly increase recurrent expenditure. That is what people will be expecting but that would be the wrong thing to do,” Reuters quoted Mr Kaberuka as saying during the interview. Ghana’s President Prof. Atta Mills on February 16, 2012 announced at Parliament that the country’s wage bill has been increased to GH¢5 billion. He said the minimum wage has been increased from GH¢2.55 to GH¢4.48. According to him, other countries have done well without use of oil and other minerals citing nations in East Africa as examples. “This region (East Africa) has done very well without oil, without gas, without minerals. These are finite resources. In other countries they have become a curse, so make the right public policy choices,” Kaberuka said.